Theft prevention in stores has never been more critical for retail. Below are three critical points to consider theft protection in a store. 1. Do you take it seriously? Loss Prevention is far more than some implemented electronic security devices like CCTV, EAS or alarmed display security. Loss prevention is a matter of protecting the retail business in general and the margins in particular. Yes, online shopping is making an impact on the numbers, but can we make excuses when retail businesses are letting millions or even billions of dollars go out of the back- or front door unpaid?! Loss prevention gets a little more interesting when we know that it's an obvious way to make an impact on your businesses bottom line almost instantaneously. 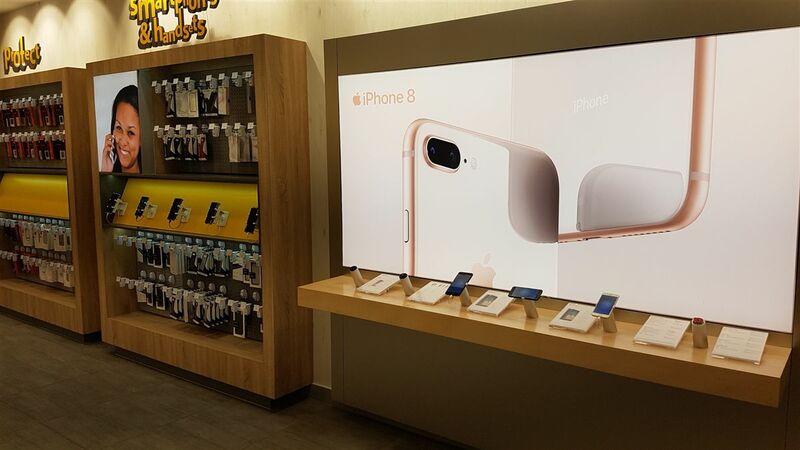 Take the telecom and electronics retail stores displaying the latest, very expensive, smartphones such as iPhone 8, iPhone X, Samsung Galaxy S9 and so on. These new babies cost you, as a consumer, an arm and a leg but as retailer they cost a fortune as well. If they get stolen it’s not only your margin you’re losing but also your investment running out of the door. Staff involvement in loss prevention is the most critical key to minimising shrinkage, but it begins with you to keep them engaged. Regular training on your procedures and processes helps, but this needs to be teamed up with the latest technology in loss prevention available. Even the most ineffective of staff can see when something doesn't work, and it won't take long before they see your loss prevention procedures as a joke or a waste of time. Going back to the telecom- and electronics retailers with expansive mobile devices on display, Gripzo was and is the first company offering lock down with quick release anti-theft solutions. Numerous stores have been equipped with the Gripzo security brackets, the feedback we get is the fact that store staff love the effectiveness- and ease of use of the Gripzo anti-theft brackets. No hassle with electronics, self-adhesives, sensors and false alarms, Gripzo security holders for smartphones are 100% mechanical and offer a total lock down with quick release so staff can engage with customers by offering a 100% product experience. New smartphone or Tablet devices are really easy to fit in using a 3mm Allen key in combination with the adjustable arms. Knowing your numbers is a given, but how well do you really know them? Does your business have specific store-metric systems in place that quickly and readily present you with the data you need? It's one thing to delegate the role of reporting to someone else, but it's another to have simple access to accurate information whenever you need it. When the essential numbers are made easy, it's obvious when stock has gone missing, sales are down, merchandise theft from display or the layout of your store is just off. This is an important task for management to make these numbers visible so the appropriate actions can be taken.